BIRDSFOOT TREFOIL seeds (lotus corniculatus) from Wildflowers UK. Lotus corniculatus – Birdsfoot trefoil is named after the seed capsules that as they ripen take on a shape similar to a bird’s foot. 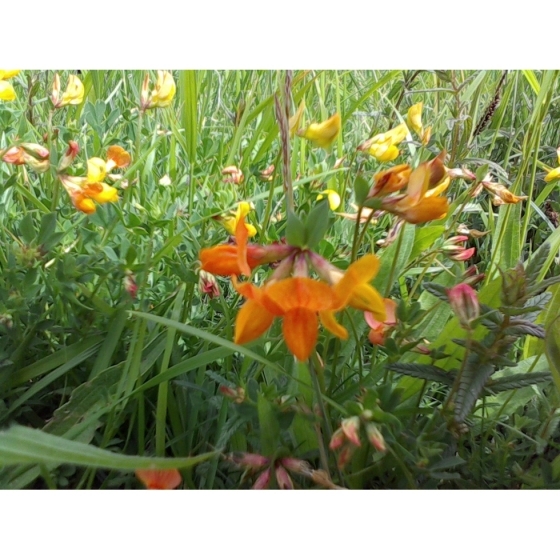 It is found on a wide range of soil types and is extremely adaptable making it a perfect general-purpose meadow plant for the wildflower garden. 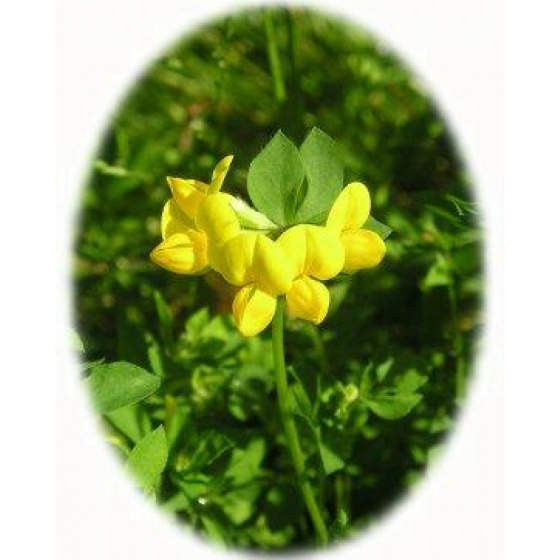 Bird’sfoot trefoil is a low growing plant with a delicate yellow flower that sometime has a reddish tinge, giving rise to it’s other name of “bacon and eggs”. 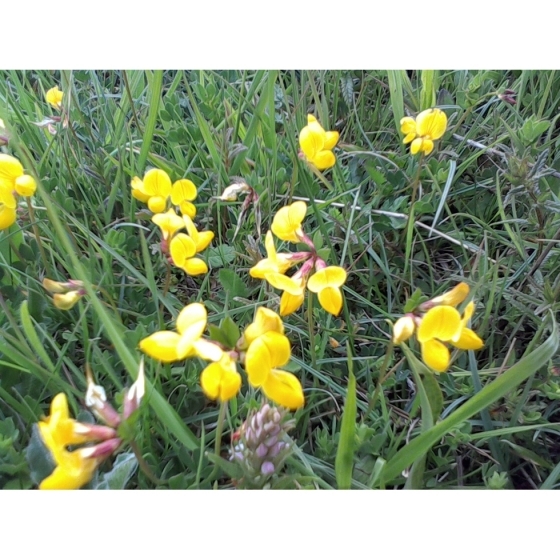 Birdsfoot trefoil will attract bees, and is an important food plant for the common blue butterfly. Flowers appear in early summer and look best growing with Oxeye daisies, Black Knapweed, Meadow Cranesbill and Field Scabious. Sow Birdsfoot trefoil seeds in Spring or Autumn in seed trays and cover lightly with compost. Usually this is one of the easiest wildflowers to germinate and given the right conditions seedlings will often appear within days of sowing. Seedlings, which are quick to develop, can be pricked out and grown on, for planting out later in the year. Seeds will also store well if kept dry and cool.